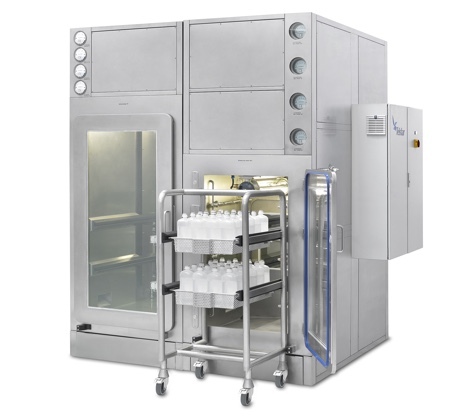 Telstar and AcmaVolpak have collaborated on the development of a new aseptic filling line, which has been configured to package children’s solid food for distribution in the US. 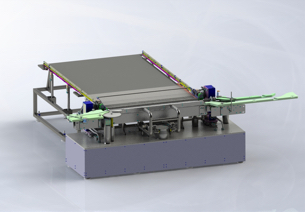 Telstar has developed a laminar air flow system for the filling and packaging line, comprising seven custom pieces of equipment: three HEPA filtered laminar flow units from the CAM series, three HEPA filtered laminar flow units from the UF series and a Restricted Access Barrier system (RABs). 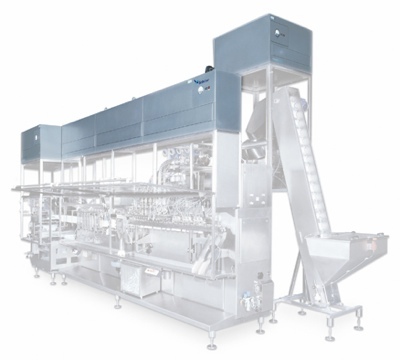 The RABs provides an efficient plug loading process in the packaging line, while the sterile air supply units (UF) are located on the transfer tunnels/cowlings between two laminar flows and the filtered air supply modules in the CAM series protect the product once the filling and sealing process begins. This arrangement of equipment gives a surface area of filtered air covering approximately 12m2. 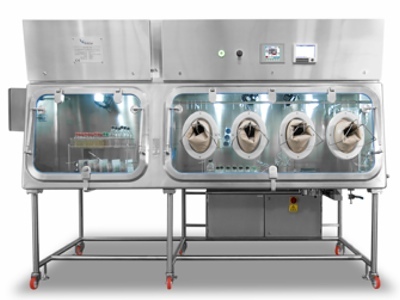 The vertical laminar air flow provides Class ISO 5 air quality, which enables working under aseptic conditions. 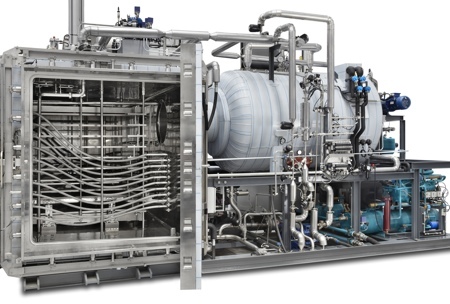 Sustainable technology is used throughout, thereby ensuring that the equipment runs efficiently. All of the equipment provided by Telstar is in stainless steel and features two-stage filtration to assure air quality. 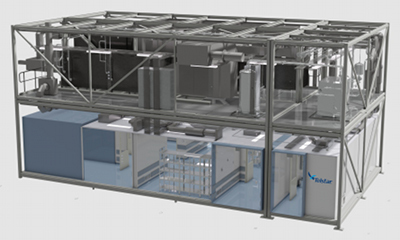 In addition, the equipment is fitted with Green|Tech EC fans, which provide a 50% energy saving compared with conventional fans. 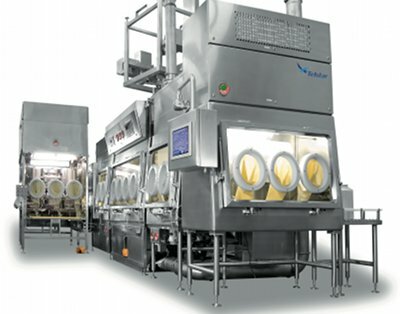 With the development of this clean air technology equipment, which will be used to protect the working environment of the SMA-260 F2 machine in the AcmaVolpak packaging line, Telstar aims to strengthen its position in the filling line market for the food, pharmaceutical and related international industries. 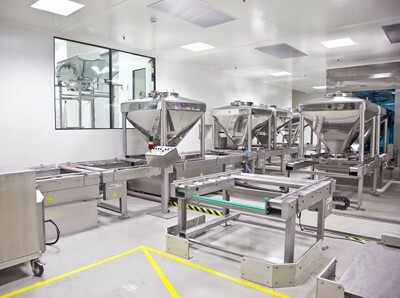 AcmaVolpak has offices in Barcelona, Spain and Bologna, Italy and is a major manufacturer of packaging machinery for a variety of applications, such as bakery products, industrial cake and pastry products, food and drinks, detergents and soaps. 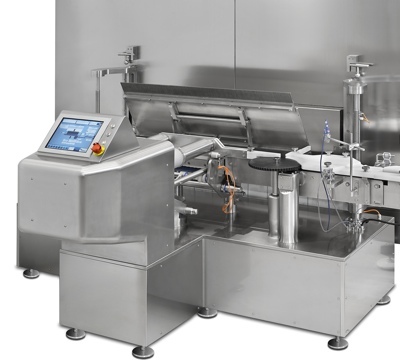 In 2005 the company launched the world’s first packaging machine for the production of doypack bags and for packaging aseptic products.